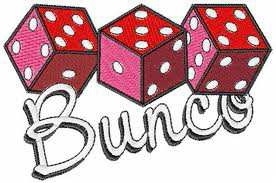 Do you like to play Bunco? Would you like to be part of the group? As you know, this is a fun game and it's a great way to make new friends. Bunco meets on the fourth Wednesday of every month (third Weds for Nov and Dec) at Molly O'Briens"s on Highway 5, 5:00-8:00pm. If you are interested in getting more information or in signing up with the group, please contact Barbara Roberts at brobertsargyle@yahoo.com. If you want to join, remember to also update your Profile to indicate an interest in Bunco for Boomers! To update your Profile, click on your name (at the top of the page), then click on the EDIT PROFILE box. On the next page, scroll down to the Small Group Participation section, check Bunco for Boomers, then click SAVE .